Place a drip pan underneath. 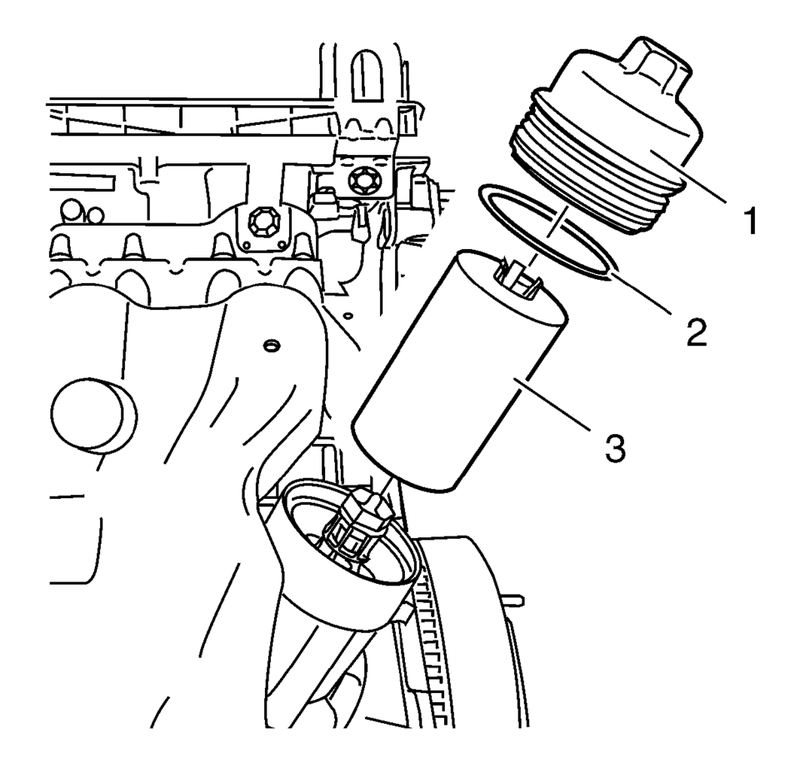 Remove the oil filter cap (1). Remove the oil filter cap seal (2). Remove and properly dispose of the oil filter insert (3). Re-install the oil filter cap. Remove the oil drain bolt. Drain the engine oil into the drip pan.